Based out of Windsor, Ontario, Phil has spent a number of years working at Roush Industries in Detroit, engineering thermal systems for the niche automotive sector. This work included climatic and aerodynamic wind tunnel testing, powertrain heat loading and unique electric vehicle applications. 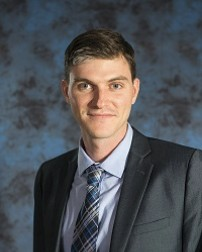 He focused his Masters Degree in Engineering on the group dynamics of wind farms and has authored multiple peer-reviewed articles in the area of wind farm optimization through the Turbulence and Energy Lab at the University of Windsor. Phil also spent a year and a half at WEICan as an engineer where he worked on test methods and measurement of wind turbine performance as well as wind turbine siting analysis. Having recently joined CanWEA, Phil is tasked with representing the Canadian wind industry’s operation and maintenance efforts in order to aid the advancement of this rapidly growing sector.